and love doing it. You won't be sorry!. Experience pays.....2toGroove wedding dance instructors have coached 100's of couples for their first dance with stunning results. Whether it's your first time dancing or you've been dancing with your fiance for a long time, all your stresses will dissolve away while you have fun learning. The environment is relaxed and friendly. 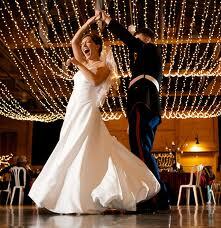 Learn the perfect choreography for your first dance. Remember to begin your lessons, if possible, 3 to 4 months before the wedding. * Pick.... a song that's perfect for you and learn the right dance to go with it. * Teach.... you to "physically communicate" as you dance so choreography is easy. * Provide... tips on how to begin and end your dance with style and flair. * Create... personalized choreography to suit you both. Happy to video it for your easy reference. * Teach... you how to create beautiful dance poses for memorable photos. * Coach... you on how to project confidence and successfully perform your dance for your friends and family! CONTACT MARGIE ADAMS to arrange your wedding dance lessons. Payment accepted - Cash at lesson, or credit card . 619 291 3775 or email: margie@2togroove.com or facebook "Margie Adams"
Ideal number of lesson to get you dancing together, feeling more confident & moving through the basics with a little flair. Never danced with your partner before...no worries,you're in good hands. THE TULIP Package 8 lessons - 55 minutes each $640 (saves $80) Includes studio floor fee. Want to WOW your friends and Family? This one is for you. More moves, more flash, more coaching & practice. You will dance like you never knew was possible. Prices subject to change. Cash, credit card OK.
$30 Returned check charge applies. "We love our lessons. You are a terrific instructor. We feel very lucky to have found you. Dancing has added so much to our life!